September is a tricky month for outdoor beer drinking in Virginia. You pray for a break in the heat, for those fall-like temperatures to appear and bring with them the perfect weather for enjoying a brew or two at your favorite festival. “No more warm beer!” you cry. “Bring me fall!” Sadly, more often than not, you have to get real, accept that for some reason it’s still 90 freaking degrees outside, slap on your sunscreen and roll with it. 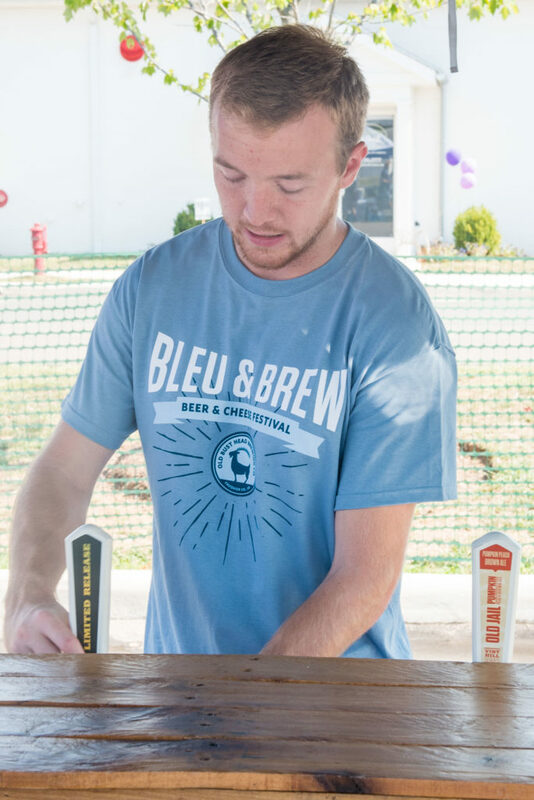 The second annual Old Bust Head Brewing Company Bleu and Brew Beer and Cheese Festival was held this month on, you guessed it, a steamy, sunny September day! 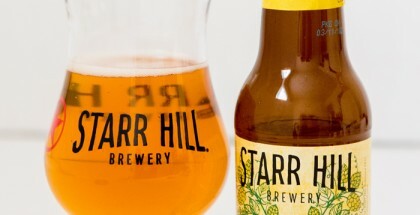 Lucky for us we’ve been blessed with some of the best beer coming out of Virginia, making that late summer heat much more bearable when you have a variety of beer styles at your fingertips. And when you pair local cheeses with local beers? The only heat you end up feeling is from that Smoked Gouda Jalapeño cheese bite sizzling in your mouth! Having attended the Blue and Brew festival last year, I can say this year blew last year away, from the beers offered to the cheese pairings to the overall logistics of the day. 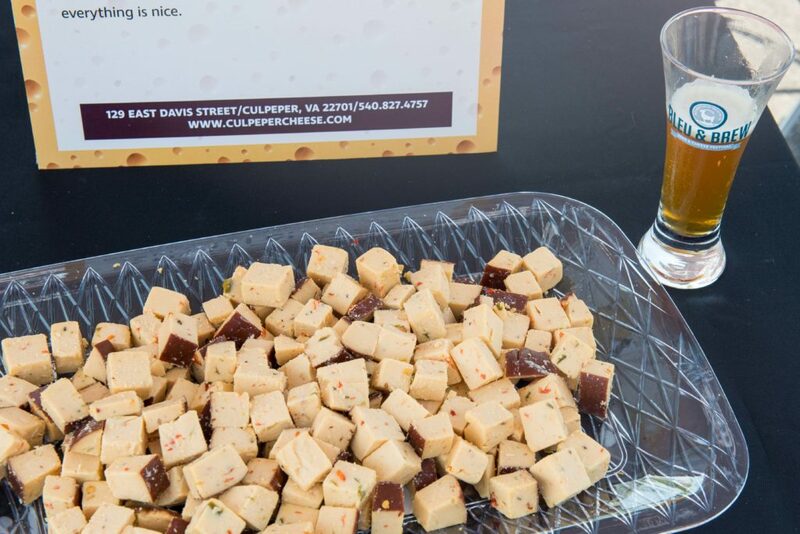 With nearly 20 breweries in attendance pairing their craft brews with various gourmet cheeses from the Culpeper Cheese Company, the Bleu and Brew Fest was easily one of the best festivals I’ve attended this year. A huge thank you to Old Bust Head Brewing Company for the invitation as well as allowing me and my husband to roll VIP. 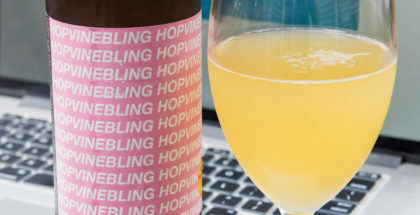 While it might sound snobby, it’s the only way I’ll attend a beer festival anymore. You get in early, avoiding the crowds. 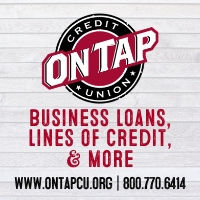 You have direct access to the brewers with time to ask questions about the beer and brewing process, and you usually get to try special, VIP-only beers. In my opinion, the extra coin is always worth it. 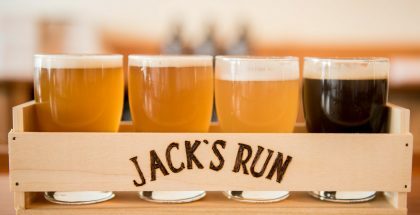 The great thing about a bunch of Virginia breweries coming together is getting to try a variety of beers in one location with typically the best styles of that brewery being showcased. 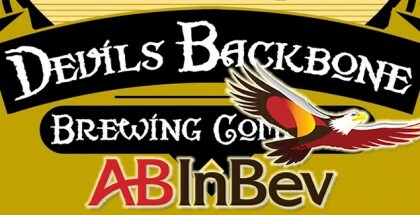 The available craft brews this year were might tasty with more than a few taking center stage. Last year at Bleu and Brew, I fell in love with a porter from Tin Cannon Brewing Company called Vaughn’s Peanut Butter. This year Tin Cannon did it again with their Punk’Tin Ale, an amber ale perfect for fall. Using 10 pounds of pumpkin in the brewing process, I enjoyed the beer being more pumpkin-like in flavor instead of being overwhelmed by intense spices like cinnamon and clove. Don’t get me wrong, the beer still had a nice spicy aroma and flavor to it, but it was well balanced with the hop profile and had me wishing more pumpkin beers would follow this type of recipe. The last thing I want when drinking a pumpkin beer is to think I opened a jar of cinnamon and guzzled it down. Wait, isn’t the cinnamon challenge a thing kids do these days for fun? Sigh, I’m so old. DIPAs were all the rage this year, too — Escutcheon Brewing Co. made the top of our list. Brewed with four different types of west coast hops (Cascade, Columbus, Lemon Drop and Apollo), the Double Hull IPA was light amber in color with lovely citrus notes on the nose and a slightly bitter finish. 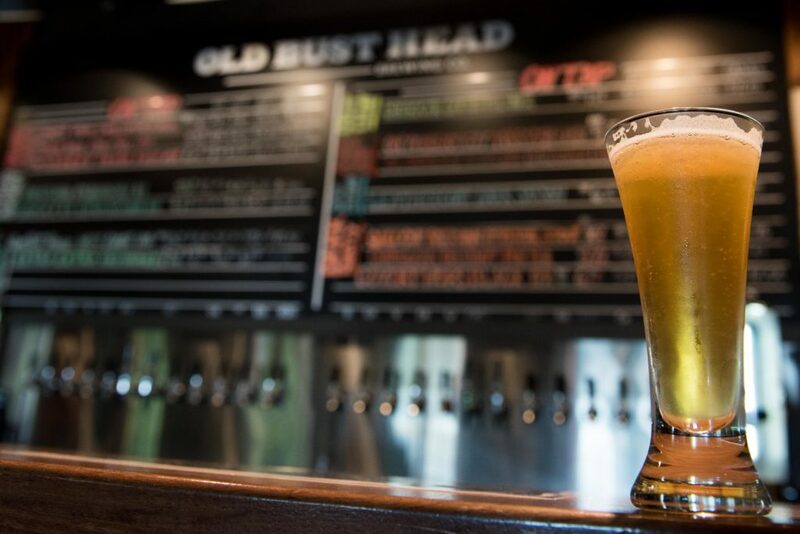 I personally fell in love with Old Bust Head Brewing Company’s ExtraExtraOrdinary DIPA with nearly 100 pounds of Citra and Simcoe hops combined to create a beer with only 10 IBUs! Juicy tangerine and grapefruit flavors danced on your palate while the Simcoe hops added in a dank and pungent finish. If I could have picked one beer to drink during the entire festival, this DIPA would have been it! Paired with Parrano cheese, a firm and smooth cheese with nutty flavors, the finish of the DIPA was softened a bit while the nutty flavors balanced out the intensity of the Citra and Simcoe hops. 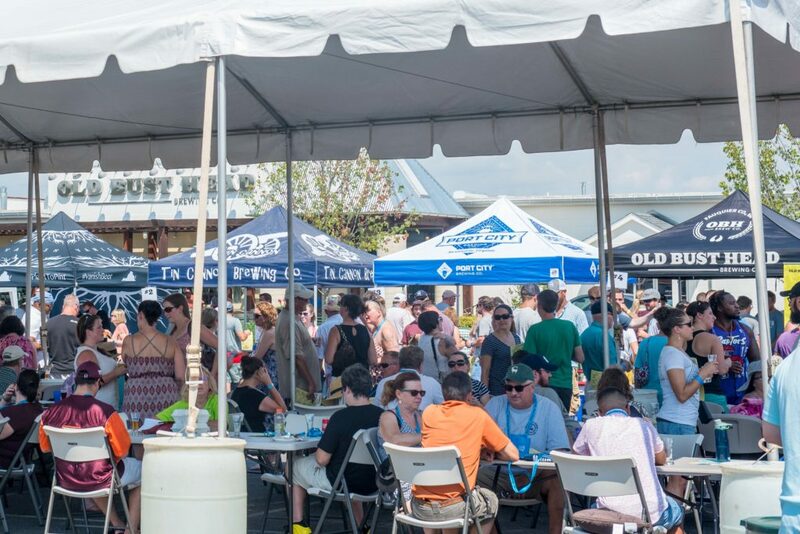 If you’re both a beer lover and foodie, make sure you put Old Bust Head’s Bleu and Brew Fest on your list for next year! It’s a great way to kick off the start of fall’s never ending list of beer festivals and gives those food and brew pairing lovers something a little bit different to enjoy. If you’re still hesitant about the whole beer and cheese pairing experiment (as we typically think it’s wine and cheese that go best together), this Beer and Cheese Pairing Cheat Sheet from Serious Eats is a great place to start! Cheers, and happy pairing!